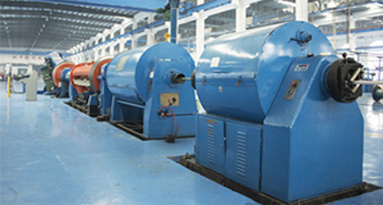 Guangdong Zhujiang Cable has a European-style design production workshop covering an area of 300 mu. At the same time, it adopts advanced wire and cable industry core manufacturing technology, and introduces advanced wire and cable production equipment and product quality testing equipment, with an annual output value of 5 billion. After receiving the order, it can be shipped within 24 hours. In the production process, the Group uses all possible means to break down the entire process and the process that can be easily executed by the machine, and continuously improve the level of production automation. As long as the machine can do it, within the scope of reasonable cost, it will not be made. The quality instability caused by human factors is avoided. Guangdong Zhujiang Cable strictly controls the quality of its products and strives to build a brand that is deeply loved by everyone! Quality products require advanced equipment manufacturing. The overall equipment level of Guangdong Zhujiang Wire and Cable Group is at a high level, and imported equipment has reached a high level. 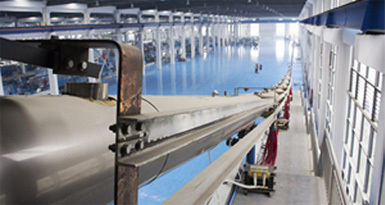 The Group not only has imported wire drawing equipment, automatic shaker packing equipment, PVC granulation production equipment, automatic granulation pipeline conveying system, bar code production data acquisition system, but also follows the pace of national power grid construction to purchase advanced level 35KV. And the following cross-linking cable three-layer co-extrusion production line, one-step silane cross-linking production line, copper big pull unit and other wire and cable production line. It has the characteristics of high speed, high efficiency and uniform and stable monofilament tension. Every millimeter of finished product must pass through layers of precision testing before leaving the production floor. Each process is above the national and international mandatory standards. We support state-of-the-art testing equipment such as wire and cable spark tester, projector, high-resistance gas and outer diameter inspection. We control the quality of products from every aspect of production, ensure the high pass rate of products, and put the safety of products in production details. It is used in the production inspection and the finished product factory test, which is an important test equipment to ensure the insulation quality of wires and cables. 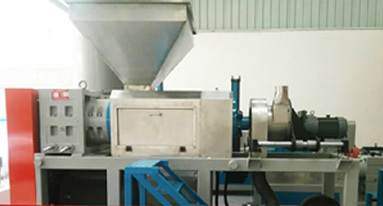 The pressure test machine is used for the full inspection and the finished product factory test in production, and is an important test equipment for ensuring the insulation quality of wires and cables. Compare the characteristics before and after heating to ensure that every mm of cable is a high quality cable. Detect the physical properties of the wires and ensure the flexibility of the wires and cables. Fine sampling is successfully completed to ensure more accurate inspection and testing. High-precision slicing ensures accurate sampling for each test and test. Strive to provide accurate test reports to make the product perfect. Intelligent cable projector Digital measuring projector efficiently detects the contour size and surface shape of various shapes of wire and cable, efficient and accurate. It is used to detect the partial discharge of the product, ensuring that the partial discharge value of all qualified products is in a smaller range, and the product has a longer service life. Quality products require advanced equipment manufacturing. The overall equipment level of Guangdong Zhujiang Wire and Cable Group is at a high level, and imported equipment has reached a high level. 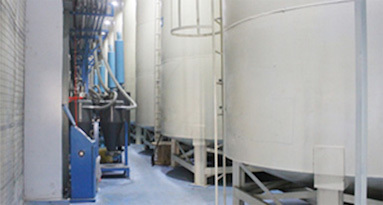 The Group not only has imported wire drawing equipment, automatic shaker packing equipment, PVC granulation production equipment, automatic granulation pipeline conveying system, bar code production data acquisition system, but also follows the pace of national power grid construction to purchase advanced level 35KV. 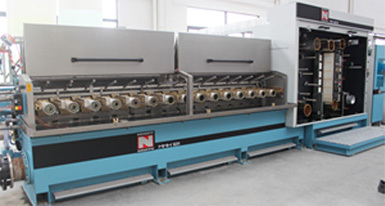 And the following cross-linking cable three-layer co-extrusion production line, one-step silane cross-linking production line, copper large pull unit and other wire and cable production lines. We know that wire and cable are the "blood vessels" and "nerves" of the national economy, so we attach great importance to product quality and safety. 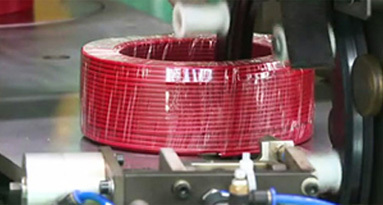 In order roduction process, but also ensures that each wire and cable conforms to the national (GB/JB) and Ito ensure the safety and quality of the products, the company not only conducts in-depth inspection and inspection of each process in the pnternational Electrotechnical Commission (IEC) standards. The wire and cable produced by Guangdong Zhujiang Cable does not contain heavy metals such as lead, cadmium, hexavalent chromium and mercury, and does not contain bromine-based flame retardants. Respond to the theme of environmental protection in the production of raw materials and every production process in harmony with nature.